themes and motifs such as romance, tragedy, religion, journeys and the supernatural. Offering new directions for the future and addressing the place of epic in both English-language texts and World Literature, this handy book takes you on a fascinating guided tour through the epic. Paul Innes is a senior lecturer in adult and continuing education at the University of Glasgow. He has published widely on Shakespeare, early modern literature and literary theory. 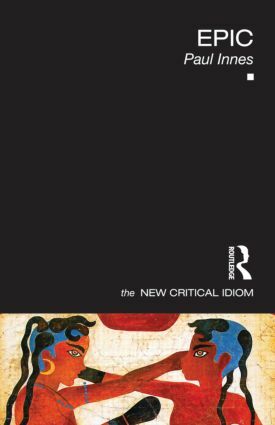 With a strong emphasis on clarity, lively debate and the widest possible breadth of examples, The New Critical Idiom is an indispensable guide to key topics in literary studies.